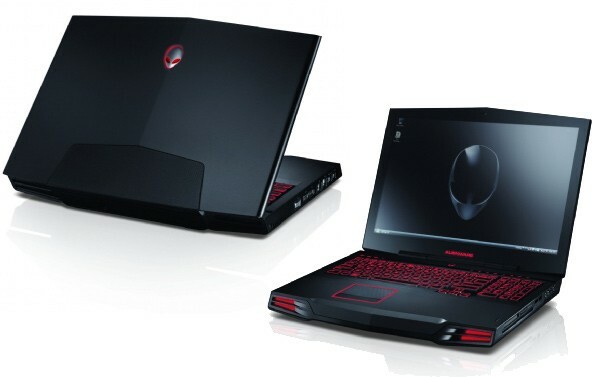 This is the Alienware M17x Gaming Laptop is powered by Core 2 Duo 2.4GHz P8600 CPU and packed twin GeForce GTX 280M GPUs. It has dual 1GB nVidia GeForce GTX 280M GPUs, top end with up to 8GB of 1333MHz DDR3 memory, 1TB 7200-rpm or to 512GB SSD [Raid 1 or Raid 0], a nine-cell battery, FireWire, 4x USB, eSATA, ExpressCard, 802.11n WiFi, 8-in-1 media card reader, dual-layer Blu-ray, a 1920 x 1200 pixel edge-to-edge LCD, DisplayPort, HDMI-outs and red lightings under keyboard, numberpad, and touchpad. It measures 15.98 by 12.65 by 2.11 inches and weighs 11.68 pounds. It will be shown at the next week’s Electronic Entertainment Expo (E3), from June 2-4 in Los Angeles.